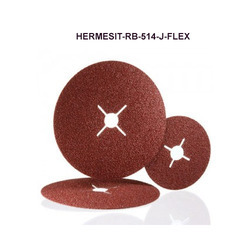 Pioneers in the industry, we offer abrasive web reinforced on vulcanized fiber, vulcanized fibre wheel with hermesit grain, high- performance fiber discs, high-performance fiber discs and aluminium oxide fiber discs from India. 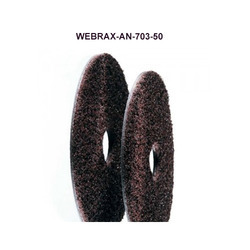 We put forward a broad range of Abrasive Web Reinforced On Vulcanized Fiber that is manufactured in adherence with the set industry standards using advanced technology and optimum quality raw material. In tune with industry quality standard, we provide this product in various sizes and specifications, as per the requirement of our clients. Our quality controllers perform a series of test on various parameters, in order to ensure the quality of these products. With the assistance of our team of experts, we are engaged in providing an assorted range of Vulcanized Fibre Wheel With Hermesit Grain that is used in the automotive industry for finishing steel bodywork. The offered wheel is meticulously tested on various quality parameters and is widely demanded in various industries. Provided wheel is manufactured by utilizing optimum quality raw material and latest technology by our experts. In line with industry standard, we provide the entire range in various customized options and at affordable price. 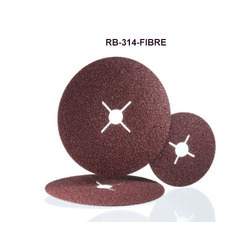 Owing to perfection and quality oriented approach, we have carved niche in the industry by offering an enormous grade array of High-performance Fiber Discs. 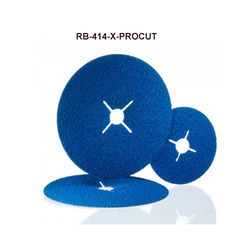 Our offered discs are strongly built with quality assured raw material and the latest technology. The offered range is availed in different sizes and other related specifications, to meet needs of our prestigious clients. Provided discs are highly acknowledged among our clients for their sturdiness and durability.